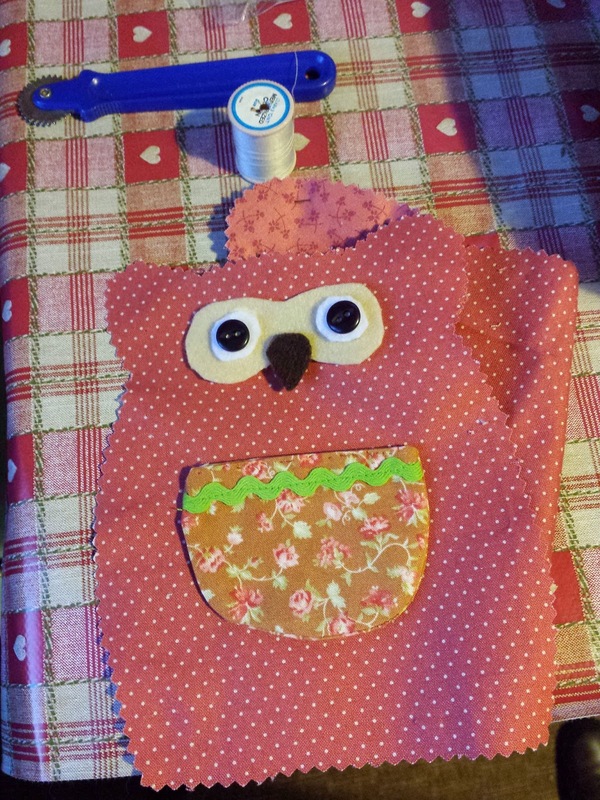 Crafty Tidbits: Yes, I am!!! I'm doing it! My Brother Innovis 600 - sadly neglected for about 4 years! Of course, then I had to play awhile on scraps to make sure it still worked. It took about 30 minutes just to figure out how to get the self-threading needle to work! But it didn't let me down. It still sewed a near-perfect stitch. So I proceeded to cut out my project. I decided to start small just to get back into the swing of things. 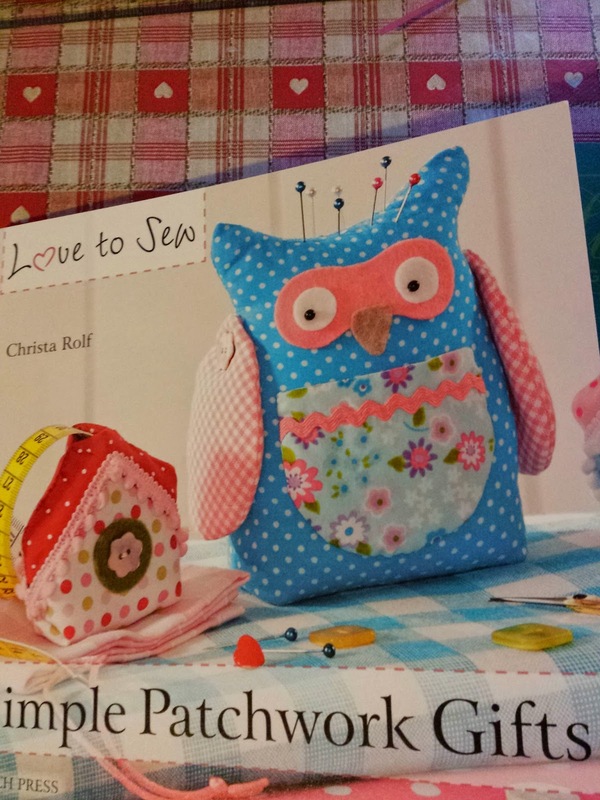 I chose a little owl pincushion from the book by Christa Rolf titled Simple Patchwork Gifts. 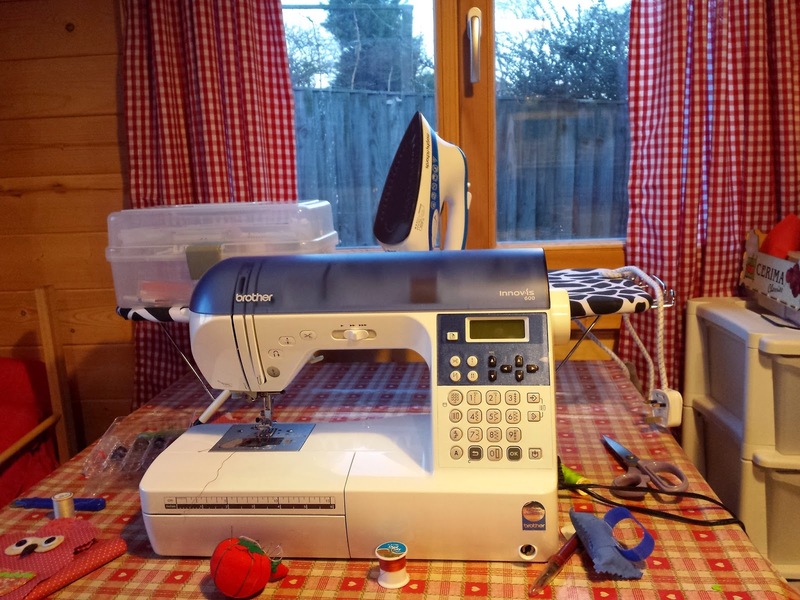 It's got all kinds of cute little sewing projects. After I cut it out I realized I needed some rick-rack for the trim on the apron, so from my boxes of ribbons, I chose one that was perfect with the fabric. But although I have boxes and boxes of thread, I didn't have any that were THAT color, so off I went into town to get one little spool of lime green thread. Well, that took about 45 minutes as traffic on the (only) main street was snarled up with two buses, a big cement lorry ("truck" for those in the USA), and a fire engine (apparently just passing through). This main street is only wide enough for one car at a time in most places, so you either have to back up, to wait until the oncoming car can pass, or whatever. In this case, a black BMW got tired of waiting and drove on the sidewalk! It reminded me of traffic in Iran when I lived there. The various pieces in their raw state. It's beginning to take shape! It's going to be so cute! 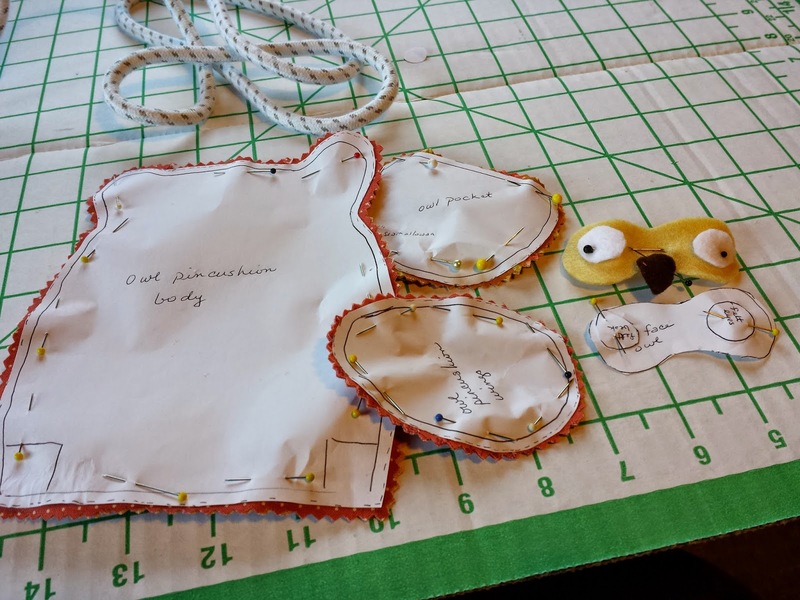 Of course, hand-stitching isn't my thing so it will take a little while to do that among all the other things (non-sewing) I'm doing. Once these are hand-stitched, I have to sew the front and back body pieces, then the wings, and of course stuff it all. I'll post the final picture once that's done.